Bobboi Natural Gelato Has Joined our Famiglia! Bobboi Natural Gelato harmoniously combines seasonal, organic California ingredients with classical Italian gelato techniques to create a one-of-a-kind product. 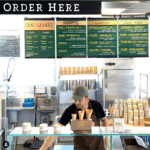 Its original artisanal gelato shop opened in La Jolla in 2015. The Little Italy neighborhood can now savor Bobboi Natural Gelato’s exquisite and unique flavors, made in-house daily from gelato chef Monica Maccioni’s fresh recipes. At its new location, Bobboi will offer 12 flavors daily. The stand replaces Single Fin Kitchen at the Little Italy Food Hall. Owner Andrea Racca told the San Diego Union-Tribune they had been looking for an additional location for a long time. Little Italy not only represented their background and heritage but it also “represents a concentration of quality ... of food, and we definitely wanted to be a part of it for a long time”, making it a natural fit for our food hall. The Little Italy Food Hall location will offer both sorbet and gelato options. Popular flavors include: Vegan Pistachio, Pure Blood Orange, Dragon Lemon, Salted Caramel and Dark Chocolate Sorbet. Vegans will currently find a haven at Bobboi Natural Gelato as they offer four delicious vegan options, including their dark chocolate sorbet made with agave syrup. ‘I want to make people happy – making gelato is how I know how to make people happy.” says Andrea Racca. Bobboi Natural Gelato believes that gelato is only as good as its ingredients. 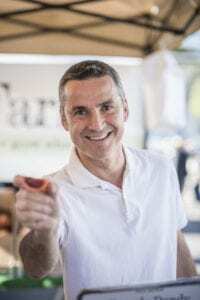 Therefore it sources from local California purveyors and makes its gelatos and sorbets using ninety percent all-organic ingredients, including locally grown pistachios, which is why some of the flavors will only be available seasonally. For Bobboi, taste comes first, taking it slow is a must and innovation is essential because it’s the only way to create gelato that brings customers back.